The objective of this session is twofold: to pursue the exploration of the various dimensions and challenges in relation to governance and public management, and to attempt to identify concrete policies that show to what extent acknowledging urban diversity can constitute a substantial opportunity for innovation on political, social, cultural, economic and territorial levels. Identify the differing dimensions of diversity: the multi-dimensional concept of diversity will be examined along with the stakes that citizens face to manage it in a globalising world context characterised by increased mobility. Furthermore, the session will address, among others, questions of political diversity (the diverse forms of organisation and representation of residents of cities), social diversity (in socio-economic, educational, professional terms etc. ), ethnic and cultural diversity, gender diversity, inter-generational diversity, diversity in terms of urban landscapes (constructed and natural), diversity of urban territories (“formal” city vs. informal settlements, centre vs. periphery), etc. the consideration of culture as a pillar for human development, democratic government and sustainability. Yves Cabannes is Professor and Chair of Development Planning at Bartlett Development Planning Unit (DPU), University College London (www.bartlett.ucl.ac.uk/dpu). 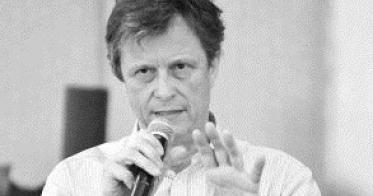 From 2004 to 2006 he was lecturer in Urban Planning at Harvard University Graduate School of Design, and an economist, planner and urban specialist. From 1997 until December 2003, he was the regional Coordinator of the UN Habitat/UNDP Urban Management Program for Latin America and the Caribbean. He has particular experience and interest in urban agriculture & Food sovereignty, local currencies, participatory planning, municipal public policies, low cost housing, participatory budgeting, community-based micro credit systems and appropriate technologies for local development. 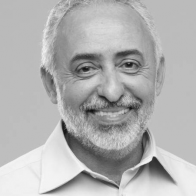 He is an advocate on development and rights issues and was the convener for the UN Advisory Group on Forced Evictions (2004 -2010) and the senior advisor to the Municipality of Porto Alegre, Brazil, for the international network on participatory budgeting. He is currently member of the board of the International RUAF Foundation - Resource Centres for Urban Agriculture and Food Security-, The World Fund for City Development (Metropolis),HuiZhi (Participation Centre, Chengdu China) and the Participatory Budgeting Project (USA). Prior to his current functions, Mr Houngbo has been the Prime Minister of the Republic of Togo (2008 - 2012) In this capacity he led the government efforts in substantial improvement in all areas namely rule of law, civil liberties, social cohesion, economic reforms including IMF Highly Indebted Poor Countries (HIPC) program, good governance, rural development, social betterment, shared growth etc. Mr Houngbo has held the position of Assistant Secretary General, Assistant Administrator & Director UNDP Africa (United Nations Development Programme – Africa). 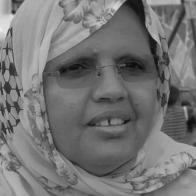 He led UNDP’s social and economic development activities in 45 Sub-Sahara Africa countries. Mr. Houngbo joined UNDP in 1996 as a financial expert and served as Comptroller and Director of Finance and Administration from 1998 to 2003. Mr. Houngbo also has extensive private sector experience (1986 -1996) including, working for Price Waterhouse Canada, where he specialized in operational and financial rationalization, financial viability & turnaround services. 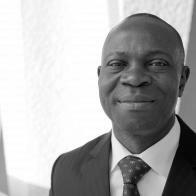 Mr Houngbo holds a DESS (Diplôme d’Etudes Supérieures Spécialisées) and a Bachelor of Arts in Accounting - University of Québec (Canada) - Trois-Rivières (1986), a Maîtrise de Gestion d’Entreprises from University of Lomé, Togo (1983). He is a Chartered Professional Accountant (CPA), member of the Ordre des Comptables Professionnels Agreés du Québec (Canada). Ms. Ibone Bengoetxea has a Degree on Psychology. She has developed her professional life in the field of transport (Basque Rail train and Metro Bilbao) as well as in Social Services, especially in the field of family and childhood mistreatments. 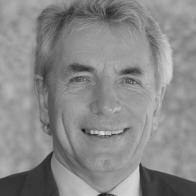 Jürgen Roters was directly elected as Mayor of Cologne in August 2009. Roters served as Superintendent of theColognepolice from 1995 to 1999 and President of the regional government inColognefrom 1999 until 2005. Mr. Roters is member of the Social Democratic Party (SPD). He was born in 1949 and studied law. 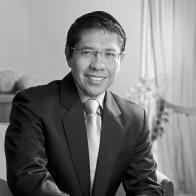 Dr Mohamad Maliki Osman was born in Singapore in 1965. Dr Maliki graduated with his Bachelor and Masters degrees from the National University of Singapore (NUS). He obtained his doctorate in Social Work from the University of Illinois at Urbana-Champaign in 1998 and became an Assistant Professor at the NUS Department of Social Work and Psychology that year. 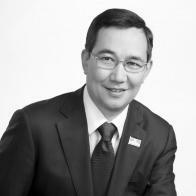 Dr Maliki was elected as one of the Members of Parliament for the East Coast Group Representation Constituency in the 2011 Singapore General Elections. He was re-appointed as the Senior Parliamentary Secretary for National Development, and was concurrently appointed as the Senior Parliamentary Secretary for Defence. Dr Maliki was also appointed the Mayor for the Southeast District of Singapore by the People’s Association. 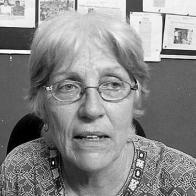 Feminist trade unionist, International Co-ordinator of StreetNet International, an international federation formed to protect and promote the rights of street vendors, to promote the voice and bargaining power of street vendors throughout the world. Since international launch of StreetNet in November 2002, there are 49 affiliated organisations from 41 countries in Africa, Asia, the Americas and Europe, representing over 500 000 paid-up members. President of Maytree, a private foundation that promotes equity and prosperity through its policy insights, grants and programs. Under her leadership, the foundation has gained international recognition for its expertise in developing, testing, and implementing programs and policy solutions related to immigration, integration and diversity in the workplace, in the boardroom and in public office. 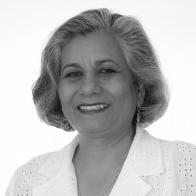 Ratna is the chair of the Board of Directors of the Toronto Region Immigrant Employment Council (TRIEC) and the co-chair of DiverseCity: The Greater Toronto Leadership Project, a joint project of Maytree of the Greater Toronto CivicAction Alliance. She also serves as a director of the Canadian Club of Toronto, the Environics Institute and Connect Legal. In 2006, Ratna was appointed to the Order of Ontario. 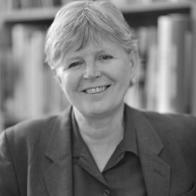 In 2010, Canada's national newspaper, the Globe and Mail, profiled her as its Nation Builder of the Decade for Citizenship. In 2011, she was made a Member of the Order of Canada for her advocacy on behalf of immigrants and for her devotion to reducing inequality.